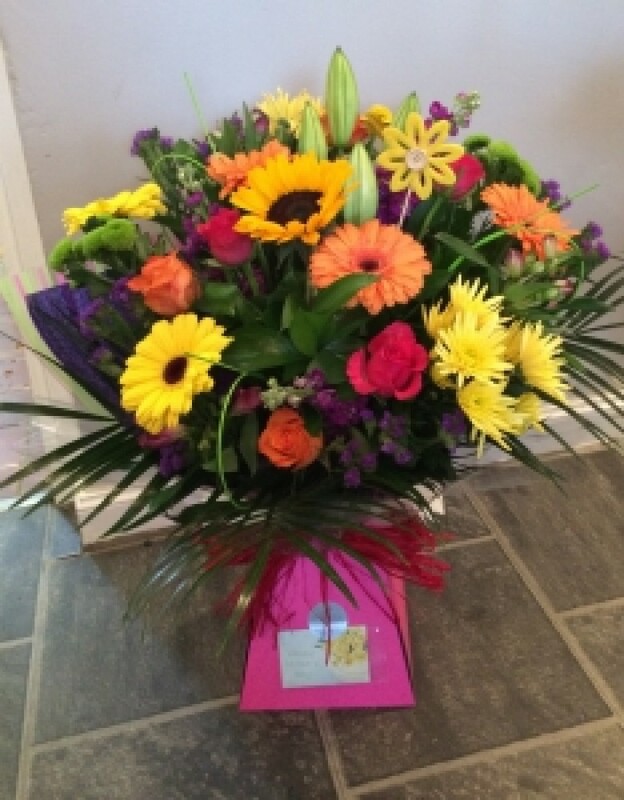 A mix of beautiful bright flowers including our signature gerberas. This style is our most popular bouquet. Comes in a presentation box complete with food and water. No need for a vase. Size shown is a medium size.